Who wouldn’t want to make money playing games especially without investment? Well, with the websites and companies below, you can! We are living in one of the most interesting parts of the very long gaming history where developers aren’t the only one making money from games. Gamers are now turning this once confined to parents’ basement hubby for kids into a source of income. Earning money playing games is so popular that it’s been featured by major networks. A few years ago, NBC’s popular morning show had a segment about it where they featured a few gamers who were earning a few thousand dollars a month by basically getting paid to play video games at home. Now, we’re not saying that you’re going to make $1000s each month playing games online (although professional players in Esports leagues and tournaments do win huge prizes), but there definitely is earning potential with this venture! And, playing games is so much fun! So if you, like most people, enjoy playing online games, then it can be a great way to earn some extra money. Can I Really Earn Money Playing Games Online? How Much Money Can You Make Playing Online Games? There are so many websites and companies out there that are willing to give you money for playing games. What’s great about these websites is that most of them are free to use. This means you don’t have to spend a cent to make money from gaming! And, there are also gaming companies out there that will give you money for testing out video games. So if you’re a console fan, or just prefer video games, over web-based games, then this is ideal. Many of the platforms and companies below pay cash via PayPal. So, to get paid on many of these platforms, you’ll need a PayPal account. It’s totally free to set one up. Other platforms and gaming companies may give you gift cards or pay by other payment methods, such as direct deposit or check. Many of these paid gaming opportunities involve playing web-based and mobile games, rather than playing video games for money or playing games on consoles like the Xbox One. But, we will also include some opportunities that offer you money for playing video games. So, how exactly do you make money from playing games online? Well, there are actually a few different ways to do it. And, below, we break down these opportunities into categories. Below, we’ve listed a few methods and places where you can earn money playing games online. These websites feature games that you can play in return for cash. These platforms will give you money for doing things like trying new games, leveling up, earning a particular score, and winning tournaments. So if you’re looking for online games that pay you to play, then check out the following platforms. WorldWinner is a super popular online gaming platform from GSN. On WorldWinner, you can compete for prizes. It has an app for iOS devices available as well, which you can get here. There are free online games available, as well as paid games. Entry fees start as low as 88 cents. According to WorldWinner, over $500,000 in prizes are given out daily. What’s great about this website is the variety of games that are on offer. You can find arcade games, word games, and card games, as well as popular games, like Angry Birds Champions, Wheel of Fortune, Trivial Pursuit, Pac-Man, and The Price is Right: Super Plinko. Overall, it’s a good gaming platform! Exodus 3000 is a super popular online multiplayer RPG strategy game. The game is set around 1,000 years in the future. In the game, planet earth is uninhabitable because of a catastrophic event. Those who’ve survived have fled to Mars. Each player on Mars has their own homestead. You get to explore Mars, build alliances and destroy enemies in the game. You earn in-game money, called Mars Dollars, which you can redeem for real cash. According to Exodus 3000, it has paid out $65,000 since 2006. Once you earn a predetermined amount of in-game money, you get the option to request a cash-out. When you cash-out, it resets most of the in-game facets of your character and gives you a real cash amount that is based on the amount of in-game money that you have at the time. Second Life is a very unusual gaming platform, as it considers itself more of a virtual online world, rather than a game. It is a 3D world where you can create, connect and chat with others from around the world. It’s kind of like the Sims, except you’re interacting with other players, and you can actually earn real money! It’s a popular game, which, at the end of 2017, had between 800,000 and 900,000 active users. In the game, you create a virtual representation of yourself, which is called an avatar. Users of the game are called residents. Your avatar can interact with places, objects and other avatars. You can explore the virtual world, which is called the grid, meet and socialize with other residents, take part in individual and group activities, build, create, shop and trade property and services with other users. With this game, you make money when you do a variety of different tasks, such as selling and renting property and creating or managing a nightclub. You can also get paid when you get a job, like working as a salesperson, for example. Also, you can earn money by creating and selling stuff, like clothing and furniture to other users. You earn Linden Dollars, which can be exchanged for real cash. It’s definitely a real money earning game to check out. This claims to be Britain’s best gaming website. It offers free games that give you the chance to win real prizes. On the website, you can find games such as Yatzy, Ludo, Mahjongg 3, Pow, and Cookie Boost. There are tournaments available, which are a lot of fun. Play free games and get paid on Paid Game Player. You earn points that you can use in the site’s Daily Drawings for cash and prizes. Also, the best reviews are selected to win additional prizes. On Clip2Play, you can make a profit when you play games like Penguin Diner, and Super Mario. There are tournaments available, which offer cash prizes. Play bingo online at Bingo Zone and you can win cash prizes. What’s great about Bingo Zone is that it’s totally free to play bingo games on there! Prizes start at $1, but they increase until there’s a winner. It’s a great site to play games for real money. On Pogo, you can play games, like puzzle games, word games, and card games for free. Games on there include Word Whomp, Scrabble, and First Class Solitaire. There’s also a membership option, where you pay a monthly membership fee, and you can enter tournaments too. PCH Games offers tournaments that you can play to win tokens. You can use your tokens to enter sweepstakes to earn cash and prizes. There’s a $1,000 daily cash prize available too. Get paid to test and review games with Bananatic. Basically, you get a game to play, and you’ll get simple in-game quests that you need to complete. When you complete these quests and write your review, you earn Bananas, which is the virtual currency of the game. You can then exchange this virtual currency for real currency on Amazon gift cards, Steam Wallet, PaySafeCard and other payment options. You can also redeem your Bananas for game content, such as CSGO skins and CD keys for games. Bingo4Money gives you cash prizes and jackpots when you play online bingo games. There are more than 300 bingo games available too, so there’s plenty to choose from. You get $25 free with signup. You can play free online slots at FreeSlots4U. And you can win cash prizes on select slot machines. There are more than 85 free slots available. Each month, the website gives out prizes – previous prizes have included cash prizes, and items, such as iPads, and Kindle Fire tablets. The Givling App is unique in that you get the chance to earn money, but you also help others in the process. With the Givling app, you play trivia games. When you initiate play, you join a three-person team. You answer statements with either true or false until you strike out or reach the statement limit. The more statements you answer correctly, the higher your team’s score will be. The highest scoring trivia team gets rewarded with cash. The prize money is split equally between the three team members. But, that’s not all. Givling also gives money towards helping people to pay off their student loan and mortgage debts. You can learn more about how Givling helps others, and how the odds of winning are good, in this article from Forbes. Download Givling for iOS devices here. Download Givling for Android devices here. Gameloot offers a variety of different mobile games, ranging from trivia games, to action games. And you can get paid to play these mobile games. On there, you can participate in tournaments too. Corporation Master is a real money virtual economy game. The virtual currency you get in the game can be converted into real money. On the game, which is free to play, you can test your business and managerial skills. You can earn virtual currency by doing things, like starting your own company, becoming a manager or investor, and by going to work every day. You can spend money on the game, but it’s not a requirement, so you can play for free. 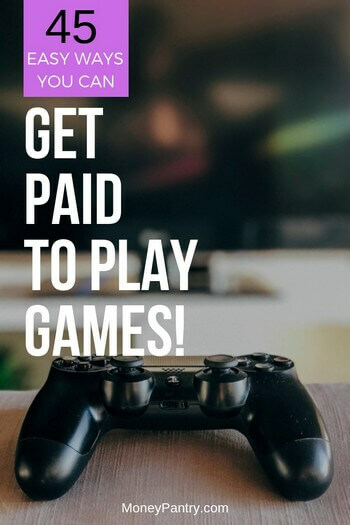 Another great way to get paid to play games is to become a game tester. Game testers are hired to play games, and “test” them. Usually, a game tester will need to provide feedback on and check for things, like the overall quality of the game and any bugs and glitches in the game. If you want to get paid to play games, but prefer video games on consoles like the Xbox and PlayStation, then game testing might be for you. This is because many game testing opportunities allow you to test console games. Some companies pay you to test mobile games. Below, we’ve listed companies and platforms that offer paid game tester opportunities. PlaytestCloud offers remote game tester jobs. You’ll test mobile games. Games are sent to your email address. All you need to do is think out loud as you play, and you’ll get paid via PayPal. Each test generally takes around 15 minutes, and you get paid around $9 – pay is also available in GBP. The company is mainly interested in players from the US, UK and Canada. But, people from other countries can also apply, and the company will let them know when tests are available in other countries. Popular job listings website Monster features a number of game tester jobs from a variety of companies. You can simply enter the search term “game tester” or “video game tester” into the search bar on the Monster website. Indeed, like Monster, has listings for game testers, so it’s a good place to check out as well. UpWork is a freelancing platform where companies and clients looking for freelancers can post job openings. On there, you can find online game testing jobs. UpWork is free to use, but it does take a percentage of your earnings, ranging from 5% to 20%, and fees for withdrawing your cash, which vary, depending on which withdrawal method you use. Nintendo is one of the most popular and well-known video game companies out there. It’s produced some of the world’s best-known games, like Mario, Zelda and Donkey Kong. It makes some super fun games! What’s great is that the company actually hires people to test out its awesome games. You could get paid to play Nintendo games! As a game tester, you test development software, evaluate products for content guidelines, document quality-assurance checks, and identify programming issues. Now, there is one downside; it doesn’t offer remote jobs. So, this isn’t something that you could do from home. Also, all of the game tester positions are only available at the Nintendo of Americas headquarters, which is located in Redmond, Washington. This means that unless you live in the area, or nearby enough to commute, then this isn’t the position for you. Don’t worry though; there are plenty of other awesome game testing jobs out there. Rockstar Games makes some of the most critically acclaimed and best-selling games in the world, like the Grand Theft Auto series and the Red Dead Redemption series. So, isn’t it great that the company actually pays people to play its games? Rockstar Games hires game testers to ensure that its games work properly and to check their overall quality. There are positions available in a number of different countries. Just check back on the careers page to see if any positions become available in your area. Previously, there have been openings in Lincoln, in the United Kingdom and in San Diego in California. Beta Family offers iOS and Android app beta testing, and it hires beta testers. You can test mobile games and get paid. When you have at least $50 in your account, you can request a payout. Payment is usually processed within 30 days from the day you requested it. You get your money via PayPal. BestReviewApp gives you money when you review apps. In your review, you need to write about your experience using the app, state what features you recommend, offer a comparison to similar apps and provide any suggestions you want to make to the developers. You get paid $0.50 to review free apps. For apps that you have to pay for, you get paid between $1 and $1.50. With paid apps, when your review is verified, the purchase price plus your bonus will be paid. Erli Bird pays you to give feedback on new apps, websites and products. You earn at least $10 per test. Payment is sent via PayPal, seven days after the end of a project. According to Erli Bird, you’ll get up to five opportunities each month. Blizzard Entertainment is another gaming company that pays people to test its games. The company produces some super popular games, like World of Warcraft, Diablo and StarCraft. 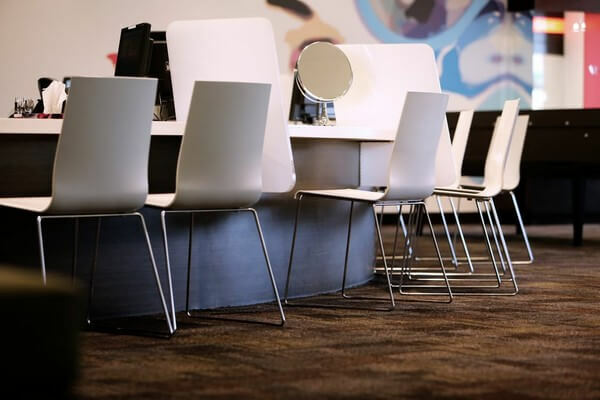 Game testing positions aren’t available all year round, but the company does sometimes post job openings for game testers on its careers section. So make sure you check this page often to see if any positions come up. We mention rewards websites quite a lot on Money Pantry because if you’re looking to make money on your phone or online, they make it so easy. And of course playing games! Most rewards websites give you points, rather than cash, which you can then redeem for either money, usually via PayPal, or gift cards. Some, however, do pay you directly, rather than giving you points first – most of these places will pay by check, direct deposit or PayPal. What’s great about rewards websites is that they are totally free to join. This means that if you want to earn money online by playing games without investment, rewards sites are your friend! With Inbox Dollars, you can get paid for doing the usual reward site tasks, such as completing offers, taking surveys, and of course, playing games. Inbox Dollars has paid games, which you play through GSN, and you can get cashback. But, it also has some free games that pay. These games earn you progress on the Scratch and Win bar. Each level you complete unlocks a new scratch card giving you a chance to win a bigger prize. There are more than 30 free games to choose from. There’s a $5 bonus just for signing up as well. Swagbucks is one of the most popular rewards websites out there. On the platform, you can get paid to do a lot of different tasks, like answering polls, shopping online, watching videos and completing offers. You can also make money playing games on the website. While there are many paid games on the platform, which you play through GSN, Swagbucks also offers a number of free games. For example, there’s Swagasaurus Run, which is an online game that involves guiding Swagasaurus Bux over lazy stegosauri and leaping over deadly chasms. There are a few other free games available to play. On Swagbucks, you earn points, called Swag Bucks, when you complete activities. Points can be redeemed for a multitude of gift cards options, as well as cash to your PayPal account. At the time of writing, you’ll need 2,500 Swag Bucks to get a $25 PayPal gift card. Pro Tip: According to people on Reddit, when the game loads a popup that displays your score, it’s best to wait until the page finishes loading before you exit the game and to disable Adblock, if you have it. This ensures that you get the points when you play. Check out this Reddit thread for a full guide. SwagIQ is a trivia game app from Swagbucks. It’s a pretty interesting game. Basically, it’s a live trivia game show that includes ten multiple choice trivia questions. The game is relatively short, lasting around 15 minutes on average – but since the game is live its duration can differ. The game is hosted by a real-life host who asks the questions. Once the host has asked a question, you have ten seconds to choose your answer from the multiple choice options. If you choose the right answer, then you can move onto the next question, and you’ll still be in the running for the grand prize. If you answer the question incorrectly, or if you don’t select your answer within the allotted ten seconds, then you will be out of the running for the grand prize. Get all ten questions right and you’ll split the grand prize with the other players who got all of the questions right. All you need to do to play is log in to the app and see what time the game starts. It’s free to play, which is great! Read my review of SwagIQ for more details and tips on how to win the most. What’s great about SwagIQ is that you can still earn Swag Bucks for the questions you did answer correctly, even if you don’t win the game. Prizes are paid in the form of Swag Bucks. You can redeem them for PayPal cash or for gift cards to retailers, like Amazon and Target. 100 SB are worth $1, and, as we mentioned above, you’ll need 2,500 points to get a $25 PayPal gift card. Cash Crate is a website where you can get paid to take surveys, complete offers and do other tasks, including playing games. To withdraw your earnings, you need to have $20 in your account. Payments are processed the following month – so the cash you earn in June, for example, will be paid to you in July. You can also refer a friend, and you’ll get paid 20% of what they make when they complete surveys and offers. As you refer more people, your income percentage will increase to up to 30%. Choose a scratch card to play, and Perk Scratch & Win will give you points. You can redeem these points for gift cards, such as Amazon and Starbucks gift cards, and PayPal cash. Points can also be redeemed for airline miles, and items, like digital cameras and laptops. If you like to play trivia games to win cash, then you should definitely check out Quiz Rewards. With this app, you get points when you play trivia games. You can redeem your points for gift cards to places, like Amazon and Google Play. Get points when you play trivia games on Perk Pop Quiz. The more questions you answer correctly, the more points you will earn. Once you’ve earned points, you can exchange them for gift cards for brands and retailers, such as Amazon, Starbucks and Nike. Earn tokens and the chance to win prizes of up to $100,000 when you play scratch card games on Lucktastic. Exchange your points for gift cards for popular brands, such as Amazon, or for magazine subscriptions. Download Lucktastic for Android devices here. Download Lucktastic for iOS devices here. Do you enjoy word search puzzles? Well, you’ll love Perk Word Search. With this app, you can earn points for completing word search puzzles. Then, you can redeem your points for gift cards for brands, like Amazon and Target. Points can also be redeemed for items like laptops and digital cameras, and airline miles. Earn credits when you play games, such as trivia games and scratch cards with Prizebucket. You can redeem your credits for gift cards, and you can also win prizes. Download Prizebucket for Android devices here. Make money from playing games on QuickRewards. It’s another rewards platform that offers a multitude of tasks users can do in exchange for cash. Withdraw your money to your PayPal account, or choose from the 50 plus gift card redemption options that are available on the site. There are gift cards available for well-known brands, such as Red Lobster, the Olive Garden, Amazon, and Walmart. Get paid via PayPal or check when you play games on SquishyCash. Money can also be earned by completing other tasks, such as completing offers and taking surveys. Aside from PayPal and check payments, you can also get gift cards for places like Amazon, and cash through Skrill and Dwolla. Just for signing up, you get a $3 bonus. GetPaidTo is a rewards site, but it’s also a cashback website as well. Earn points for tasks, such as playing games and taking online surveys. You can redeem your points for cash. 500 points is worth $1. There’s a variety of games available, such as Mahjongg Solitaire, Sudoku, and jigsaw puzzles. As we mentioned above, you can also get cashback when you shop online, and there are also voucher codes, discounts and special offers available for a variety of different brands. Play games at Loot Palace, and you’ll get cash. You can send your cash to your PayPal account, or choose to redeem your earnings on a gift card for brands like Amazon, CVS, Verizon Wireless, and Sephora. You can also earn for other tasks, such as taking surveys, watching videos, listening to music, and searching the internet. Above, we’ve given you a wide range of places where you can earn cash playing games. But, those are not your only options. You can also make an income from games in a few other ways. If you want to make cash from playing video games on consoles and PC, then check out XY Gaming. It’s a platform where you can compete for cash and coins in video games on consoles and PC. There are free tournaments available for cash prizes daily. It’s free to join and you get free entry to cash prize tournaments. Prizes available, aside from cash prizes, include games, consoles, and merchandise. Did you know that you can make money by posting gaming videos on YouTube? However, it does require a lot more upfront work than the options above. You won’t get paid for posting videos. In fact, you won’t make any money up front at first. But, when your channel starts getting enough views, you’ll earn money when people watch ads on your videos. If you get a lot of viewers, and your channel gets popular, you can make a lot of cash. You can provide walkthroughs, offer tips for character improvement, or teach people how to get better at playing a game. Or, you could just film a stream of you playing a game, as those types of videos are popular too. Twitch is a video platform and community for gamers. You can stream your gameplay on there and make money from it. There are a couple of ways you can make money on Twitch. You can become a Twitch Affiliate and if you become very popular, then you can become a Twitch Partner. You can earn money from subscriptions, ads and donations. Learn about becoming a Twitch Affiliate here. Learn about becoming a Twitch Partner here. Long Game Savings is an interesting app that combines saving with games! We all know we should save, but many of us don’t. So, turning saving into a game can encourage you to save more money. Download the app, and you can open a free FDIC-insured, interest-bearing Long Game savings account. Then, you link your bank and deposit money into your new savings account. You can set up this deposit for whenever you want to – for example, you could set up AutoSave so that you save money on your payday. As you save money, you earn Coins. You can use Coins to play mini-games. In these mini-games, you can win cash, up to $1,000,000 and cryptocurrency up to one BTC or ETH. What’s interesting about this game is that the more money you save, the more chances you earn to play. It’s a great way to win cash, without risk, since you’re using your Coins to enter the games, and your account is FDIC insured. Plus, you can withdraw your money whenever you want to. When you achieve your financial goals, you level-up in Long Game. When you level up, you unlock new games and rewards and earn crypto. You’ll earn 1% interest on the money you deposit, as well as the chance to win cash prizes. Download Long Game Savings for Android devices here. Download Long Game Savings for iOS devices here. You can start a gaming blog where you create how to articles, and walkthroughs for games. Or, you could offer reviews. You can then monetize your blog using Google AdSense and affiliate links. With Google AdSense, you earn money when visitors to your blog view or click on the ads. With affiliate links, when someone purchases an item through an affiliate link on your site, you get a percentage of the sale price. It does take time to make money from blogging because you have to get traffic to your posts and build your audience, but it can be profitable. You could earn a fulltime income from blogging. 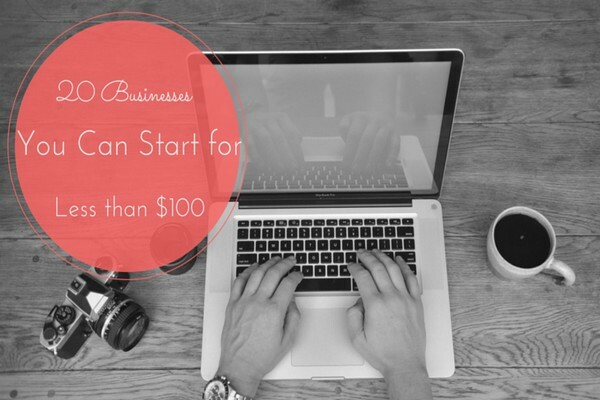 Check out this article for more information on how to start and make money from a blog. If you have the cash, consider hosting a server for a popular game like Minecraft. You can charge players a monthly hosting price when they play online with you. Just make sure that you check the game company’s regulations and guidelines to make sure you don’t break any rules with regards to charging others to play. Also, Host Gator has a handy post about gaming services, which you can check out here. How Much Money Can You Make Playing Games? It’s difficult to give an exact figure for how much you’ll earn. This is because it depends on what type of gaming platform it is, for example, are you using rewards websites, or working as a game tester? Gaming websites are the toughest one to give an income example for since they offer cash prizes, which range anywhere from $1 to more than $1,000. Also, each game will have its own cash bonuses and prizes. And, even on the same website the amount you’ll earn can differ from task to task. For example, you might earn a larger amount for trying new games, and a smaller amount for leveling up. One user on this Reddit thread, says they played around 80 games on WorldWinner. and cashed out $50, in the form of an Amazon gift card. Many websites pay around $10 per test, but larger gaming companies, like Nintendo, Blizzard, and Rockstar will pay more. Some of these more popular gaming companies will pay you a fulltime income to test their games. What you’ll earn from rewards websites will depend on the website you’re playing games on. This is because each website pays differently. One user on this Reddit thread says they’ve won 565 SB in a day, and on another day they won around 2,200 SB. And, on the same thread, another user says they won 774 SB. On this Reddit thread one user said that the winners in the game that they played won between 1,500 and 16,000 SB. In this Reddit thread, one user says that the app gave 1,400 SB to winners. According to these figures, you could make anywhere from 553 to 2,200 SB from playing trivia games! This is equal to $5 to $22 per game. Since each game is only 15 minutes or less, this means that you can make a good amount of cash in a short timeframe. Another platform we mention above, which is the main app from the company that brings you SwagIQ, is Swagbucks. Obviously, people don’t just earn SB from games alone – they usually do other tasks as well, such as shopping online, watching videos and completing offers. “I’ve already made about $80 this month, though that’s more than i usually do. generally speaking, i make anywhere between $30 and $115 a month. I seem to make about $50 a month on Swagbucks. It’s usually two $25 PayPal cash-ins. With other paid gaming opportunities, particularly ones where you stream content, or offer gaming videos can be very lucrative. But, only if your channel is very popular. PewDiePie makes millions from his gaming videos on YouTube – you can read more about this here. We’re not saying that this is how much you’re going to make, but it does show you that there is definitely money to be made! Also, there’s an interesting post on Forbes that discusses how video gaming YouTubers can make millions. You can read the Forbes post here. Twitch gamer Tyler “Ninja” Blevins makes $500,000 a month! Again, this isn’t your average gamer’s income. The average gamer is more like to earn in the hundreds and thousands, and channels certainly take time to build up, but again it proves the earning potential of these platforms. I don’t like gambling especially doing it through online casinos and casinos in general. The odds are always stacked against you (the player). While there are a lot of online casinos with table card games and slot machines where you can bet real money in hopes of winning big, I’d stay away from them. Most players lose money. And we’re not talking about just a few dollars here and there. We’re talking about hundreds and thousands of dollars. And those with gambling problems, risk losing much more than that. Even if you don’t have a gambling addiction, it’s just not a good idea. I’m all for going to casinos once or twice a year with a very small amount of money just as a form of entertainment, but not as a way to TRY to beat the casinos at their own game. It just won’t happen, at least for 99.9% of players. You are here to learn how to play games and win money not to lose it. If you are trying to earn money by playing games, you should avoid online casinos altogether. I hope you never have to face this issue, but if you or someone you know has a gambling problem, please use these resources to get help. There are so many ways that you can get paid to play games online for free. We’re not saying that you are going to make a full-time income from it – although it’s possible. But it’s a good way to make a nice side income, from something that’s super fun and pretty easy as well. If you’re an avid fan of games, what better way is there to make money than from something that you’re passionate about? Let us know in the comments section below what your experiences have been with paid gaming websites, apps, or companies. Or, if you’ve not yet made your foray into paid gaming, then let us know in the comments section below which platforms you’re going to try. Well, now you can get paid for it as well! There some of the Website that I’m trying to sign in, and it seems impossible to do so, and I already written all my information down. So what happen from now on? What do I do about this? Moise, I am sorry, I don’t quite understand your question. Would you mind explaining what you mean? I have been hearing a lot about Mobile Strike lately. Have you personally made any money with it? Where can I get paid to play cards online? there is also marketGlory! Its not get rich quick but you can earn money with it! its a slow start but it seems to snowball with “experience” as little investment as 5 min. a day. Payout through paypal! The work system is a once a day activity where you work for a percentage of a posted wage. This percentage is based on your stats : Energy, Experience, and Knowledge. Energy and knowledge are gained with in-game items that you can purchase. Experience is gained by working. These stats decide your “productivity” which decides the percentage of money you make from a job. These jobs are posted by users who have companies that make in game items like the energy and knowledge items, as well as items useful for fighting. I have little experience with the company making. Fights give you a small amount of currency and a referral(the user you fought) for a day (which you can “block” to keep). You can fight 10 times a day. Just make sure to “work” and fight everyday for the bonus money. There are also youtube vids with tutorials. Here is my referral link: (you don’t have to use it :D) MarketGlory! Here is the non-referral link: MarketGlory! I hadn’t heard of MarketGlory. I will check it out and if it does pay, I will update the list. Thanks Steven. i want to play and earn online money and i am a good video games player can someone help me how can i play and win money…..my cell number is (deleted to the editor). Thanks for sharing good info for me. thx man, was looking for them. I only played marketglory, different concept than the ones you mentioned, but still pretty cool. awesome work to collect these reliable websites to your readers ( visitors). Thanks for sharing!!! Wow, $1M playing Second Life! Amazing. Didn’t realize there were so many players. Good for her, I wonder what her real life job is. I would think her real life job now would have something to do with the gaming industry. Not sure though. There is also Big Time app for mobile device. Now you can get paid to play games on the go. Having just launched a few months ago Big Time offers a $1000 cash prize every week. Thanks for the heads up, Jeremy. I’ll do some digging and will add Big Time to the list if appropriate. Thanks. Is it possible to actually cash out your Linden from Second Life? If so, how do you go about that? I think there are a few marketplaces where you can buy and sell Linden. You may want to check out SecondLife’s official market place site. Let me know how it goes, Chels. Good luck. Hey, I just wanted to let you know that Exodus3000 has suspended their points system and may not bring it back. I seen that they had suspended it and it said they would be getting a new payout system. But, when I asked them on their Facebook fanpage they said there is no timeline to when or if they will offer cashouts again. Thanks for the heads up Chelsea. I’ll try to contact them as well to see if I can find out anything. I have tried worldwinner in compete for cash category but every time it asks for credit card info. to deposit money and you said that earning cash by playing games is completely free. Is there no way for playing in compete for cash category for free and earn some cash. Jayant, they also have free tournaments. Hmm, I’ve never heard of the Dungeons and Treasures. I’ll check it out and add it to the list of everything checks out. Thanx for the info…..its quite interesting to know that you can earn some cash by doing something that you actually love….i’m gonna try out few of them and see how it turns out! Yes, it is actually fun. Although, the money you earn playing games isn’t substantial, but hey if you enjoy playing games, why not get paid for it. I have been a member for several years this site is a lot of fun you can pay to play and win real money or they have what they call oodles which you can use to enter for a lot of cool stuff. they also offer promotions like savings on tokens or how to earn extra oodles. It’s a fun site check them out. Have fun,Brook. Thanks for sharing your experience about GSN WorldWinner, Brook. Do you use any other site where you earn a little extra cash for playing online games? Very informatic. Nice to read it. I also recommended this site : earnhoney.com. This is a site where you have fun and earn money at the same time. You fight, you work, you can make companies can participate in wars and collect money they can withdraw. I am glad you are having a good time, Solly. How long have you been playing SecondLife, and what would you estimate you have earned so far, if you don’t mind me asking? can i also play and get cash even if am in South Africa? I am not sure if any of these sites accept members from Pakistan. I know some do accept international members, but nut sure about specific countries. The best way is to read their FAQs or contact them. Good luck. Hi. How about GSN? do they really pay? tell more about them.. Yes, they do pay, Krissy. However, to win big money, you have to play with real money. I ran across your site in a google search and thought I would recommend Dungeons and Treasures. I hope you don’t mind I included my referral link.. Thanks for the addition, Michael. How long have you been playing it, and how much money (estimate) can you make? I am so happy that I found out about this, I do play online games and I will try to open and play some of the sites you mention, this will be my first time to play online games that will pay and I am so excited. This can help me. Thank you for sharing this and I will update you. Oh that’s cool. I am happy this post is helpful for you, Xandie. Do update me on your progress. You are welcome, Anthony. Which one of these sites do you think you are going to join? satrap,i need help to not have a 1/100 chance to get another spin when i try to get another spin on cashdazzle.com,can you help…….??? Brandon, that’s automated, so there is really nothing I, or anyone else for that matter (beside the site owner,) can do. Sorry! Soheil, I don’t think these sites are open to Iranians. You could check with them directly, but from what UI can see, they only accept members from a few western countries. By the where in Iran are you from? I was born in Sari, Mazandaran. nice i will try these sites ‘ my small bro will be always looking forward this sites but im not going to tell him about earning.. i should tell him ? …. Thanks . That’s between you and your brother! Don’t bother with Bingozone (Gamesville), they don’t pay, I supposedly won $25 in the daily sweepstakes and I never received it. Wow, sorry about your experience. When did this happen? And did you contact them about it? Thanks for this list!! Gonna check it out ?? You are welcome. Good luck, Saysha. Is this a real way to make real money, that they can send you a check for? Yes, some send check and some pay with PayPal, gift cards and prizes. I’m on the Entropia Universe. It doesn’t cost to play, but it does help to deposit a little to start out. it’s a 10 to 1 ratio. the lowest you can deposit is $2 while they have a max of $500, you can also withdraw it directly to your bank account if you want. Planet Calypso is the best start on, more for new players to do and get used to the game. Thanks for sharing your experience, J. Would you know if playandwin.uk accepts players from usa? I looked on the site couldn’t find anything.thanks! Patty, I just registered for the site just to see if it would let me and it did. Now I haven’t played any games so I am not sure. But just drop them a note via their contact page and ask. Please warn people not to play bingo on Cheetah Bingo. It’s very hard and competitive to win 1st, 2nd or 3rd place. I lost much sleep doing so. They paid me through PayPal once, and haven’t been paid since. They owe me $210, and I’ve messaged them many times, and no answer back. It’s fun to play just for fun but don’t lose sleep trying to win the prizes, because they won’t pay, or maybe they just pay once. You can try and see. If you do, let me know if they paid you. Thanks. Hello Any one please help me how to play game and make a good money ? I am from Ethiopia is this alowed to play these games from there? and what will be the payout mode? I don’t think any of these sites accept members from Ethiopia. But I’m not sure to be honest. Your best bet is to ask them directly. I just tried signing up for the sight paid game player I think that’s what it’s called it was on your list. Anyways I filled out the application to become a member and clicked on submit and it just kept going to an error page saying “error timed out” after of course putting all my personal info in. Do you have any ideas? I really wanted to play on that sight. Have you tried logging in after that? Sometimes even though you get the error, your info goes through and your account is created. If that doesn’t work, try contacting them, Cynthia.